Update: Contest deadline extended to Dec. 31, 2013! Have you started your winter crafting yet this year? Give your home a touch of holiday cheer with a handmade ornament made from one of the most versatile crafting materials... duct tape! 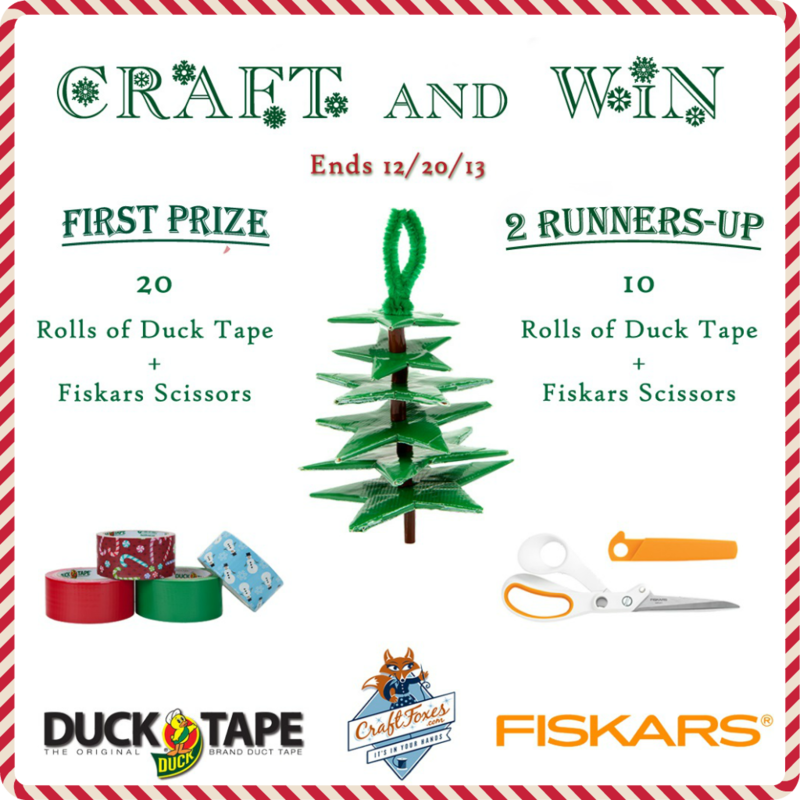 CraftFoxes is hosting a holiday ornament contest in partnership with Duck Tape® and Fiskars, and we want to see your creativity! 1. Make a handmade project that incorporates duct tape in some way. You can draw inspiration from the many fun colors and patterns of Duck Tape®, from winter snowmen to penguins or even incorporate your favorite animals prints. The more tape, the better! Make a holiday project or show us ANY project you've made from duct tape! 2. Photograph your duct tape craft, and add it as a project or how-to on CraftFoxes. Tell us your inspiration for the ornament, and be sure to include the tag #CFornamentcontest somewhere in your post. 3. All entries must be received by 11:59pm EST on December 31, 2013. Guest judges from Duck® Brand and Fiskars will choose winners for First, Second and Third Place based on overall creativity and execution. Here's a run-down of the awesome prizes that you can win! Do you need some ideas for a great duct tape ornament? Check out these projects or create your own! 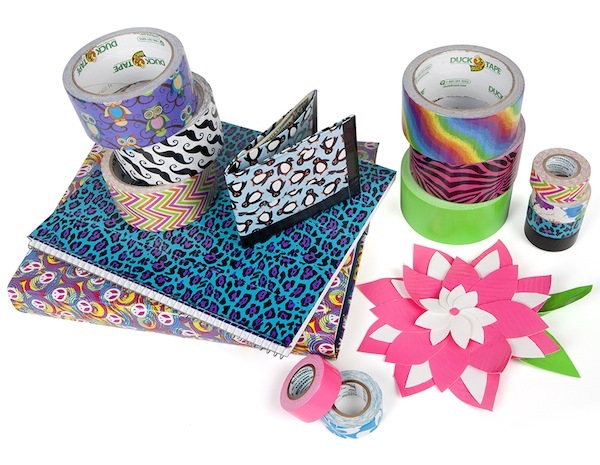 Did you know that there are more than 200 different colors and designs of Duck Tape®? We're also very excited that Fiskars will soon release a line of scissors that specifically cater to crafting with duct tape!